Officially opened on 31 October 2016, the Sheikh Jaber Al-Ahmad Cultural Centre, is located in the heart of the capital, Kuwait City and forms Kuwait’s new national cultural district. It was designed by BDP and built by SSH and Al Hani Construction and Trading Company. Spanning across 240 000 sq metres, the centre incorporates four buildings – Theatre Building, Music Building, Conference Building and Library Building – and 11 multi-purpose halls. Al Hani sub-contracted SVETLOST TEATAR of Serbia to provide the complete integration of the stage technology systems including: the supply and installation of stage machinery and control system; stage lighting and control system; and the sound, video and communication systems. The SVETLOST TEATAR team for stage lighting and control systems consisted of Marko Ilic as Senior Engineer and Lazar Stojanovic as Executive. While the team for sound, video and communication systems included Dejan Ljubisavljevic as Senior Engineer and Milos Dmitrovic as Executive. SVETLOST TEATAR began with the Main Theatre, located in the Theatre Building, and which has a capacity of 2,000 seats. It was designed to accommodate large stage productions – such as opera, musicals, ballet and dance – as well as large conferences. Due to the three balcony levels and the sheer size of the space, the SVETLOST TEATAR team opted for a L-R line array configuration. Each array comprises 10 Meyer Sound Leopard compact linear line array loudspeakers, which reproduces audio with tremendous power, superior intelligibility, and extremely low distortion. For low-frequency support, Meyer Sound 900-LFCs have been implemented. 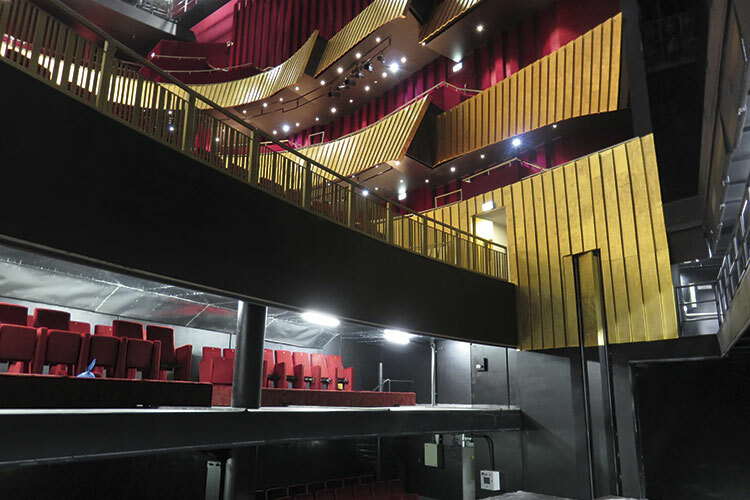 To cover the balcony the team opted for six Meyer Sound UPJ-1Ps, plus 10 Meyer Sound MM-4XPs, mounted on the edge of the stage for sound reinforcement to cover the first few rows, and eight Meyer Sound MM-4XPs on the edge of the first and second movable platforms. 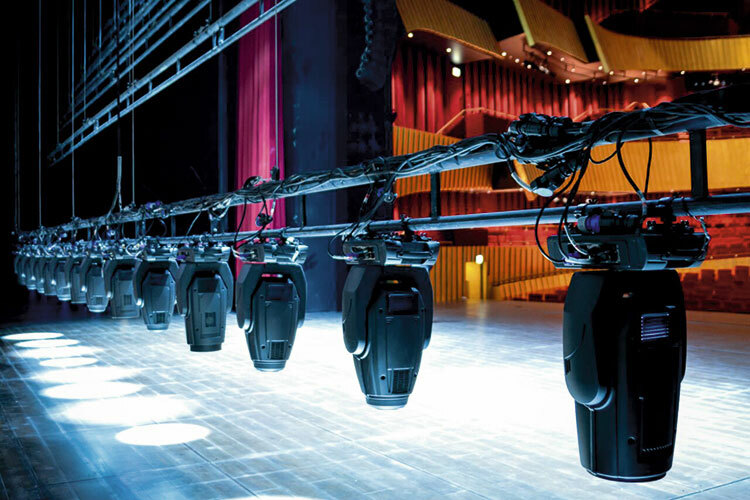 On stage monitoring is provided by Outline’s ISM 115’s and ISM 112’s, and combined Milos is confident the entire hall is covered with evenly distributed sound. The National Concert Hall in the Music Building is another line array system, this time using 20 Meyer Sound Mina loudspeakers, again split evenly left and right of the stage. They are accompanied by two Meyer Sound 600-HP arrayable subwoofers per side. More MM-4XPs mounted on the edge of the stage are used for front fill in this 1,500-seat venue. The console manufacturer of choice was DiGiCo. “Their consoles are fast, stable, easy-to-use, can handle a lot of audio channels without any problems, and have great software. We wanted a 96K solution, a console that can handle a huge number of audio channels with great processing power. So the only solution for this project was DiGiCo consoles,” continued Milos. In all control rooms, there is a permanently installed SD9, plus a SD5 console that can be installed at front of house when required. 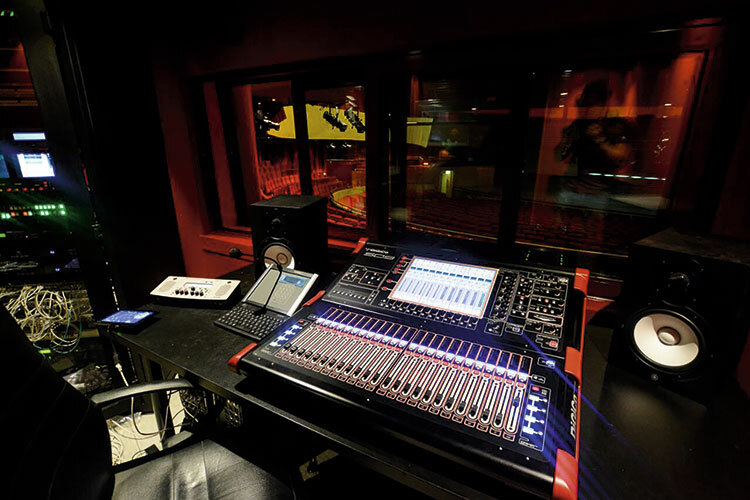 DiGiCo’s Dubai-based distributor, Delta Sound, was brought on board to commission the consoles, update the firmware and ensure that all the boards were working, as they should. 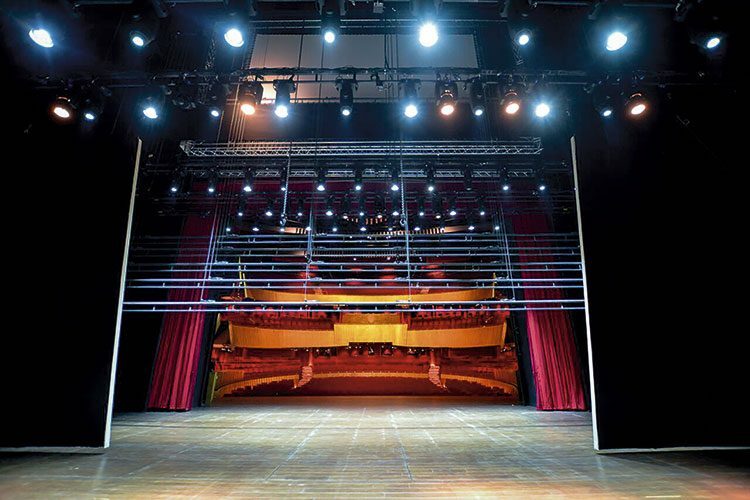 When it came to the lighting systems, the brief was diversity, to ensure any of the spaces could cater for theatre plays, concerts, dance performances, opera and other performing arts, as well as conferences, congresses and exhibitions. The lighting inventory across the culture centre includes LED based profiles and cycs from ETC – Source Four Series 2 Lustr+ and Studio HDs and LED washes from Philips Showline range have also been installed. Intelligent fixtures come in the form of Robe Robin MMXs and Vari-Lite’s VL Series. For control it’s a combination of ETC and MA Lighting – the ETC Eos Series being the standard choice, due to the consoles being highly adaptable and user-friendly. An ETC Cobalt desk and MA Lighting grandMA2 are also onsite so that lighting operators can choose their preferred console. 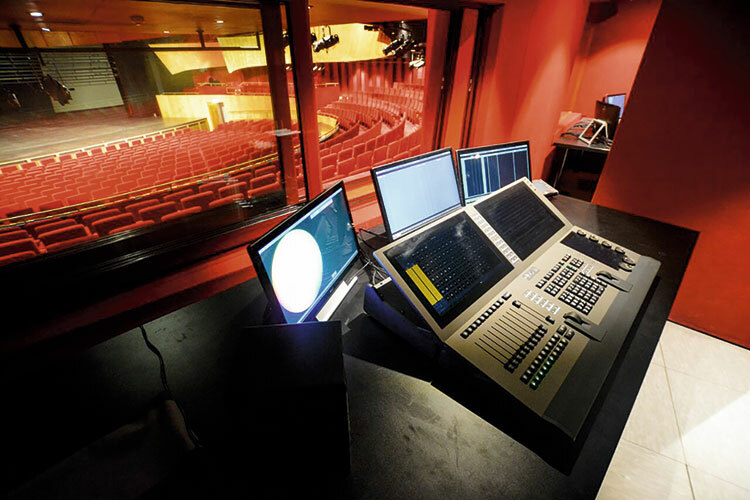 An ETC Unison Paradigm Control System – which is integrated with the production lighting and house lighting control – is also in place as the worklight control system. Projects of this magnitude can often take years to come to fruition, and although planning may date back a while longer, Sheikh Jaber Al-Ahmad Cultural Centre took just 22 months to build.